Merkspace is a boutique co-working and private offices complex and a home to start-ups, project teams, freelancers and creative entrepreneurs. 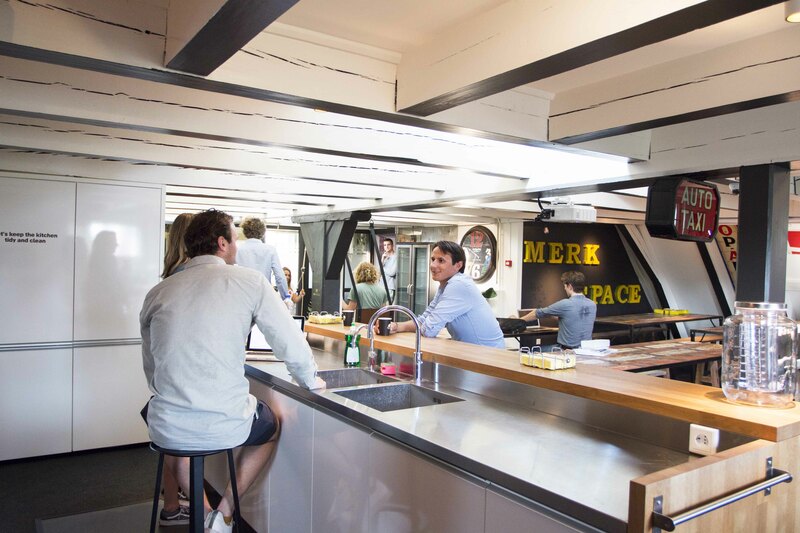 The office on Herengracht is the first international expansion of the Merkspace concern, which originates from Tel-Aviv, where Merkspace was created to serve the booming tech start-up scene. Now Merkspace expands even further with the new Amsterdam/Amstelveen location and even more to come. Besides offering a desk in an inspiring working environment, we offer a chance for you to connect to an international network of other co-workers! 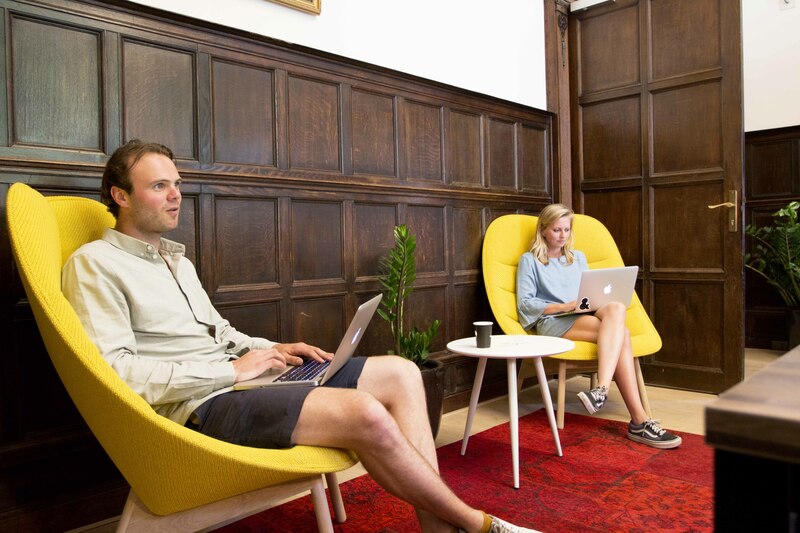 Merkspace is een boutique co-working and private offices complex en een thuis voor start-ups, project teams, freelancers and creatieve ondernemers. De Herengracht locatie is de eerste internationale uitbreiding van het Merkspace concern die ontstaan is in Tel-Aviv voor de booming tech start-up scene. Nu breidt Merkspace verder uit met de nieuwe Amsterdam/Amstelveen locatie en nog meer volgende. Naast het bieden van een bureau in een inspirerende werkomgeving bieden we ook de kans om contacten op te doen binnen een internationale netwerk van andere co-workers! Are you a member of Merkspace Herengracht? "Not great. This is an old house that resists being transformed into anything else." The good: - The location is excellent, very well connected by public transport and there are public bike parking spaces around the corner, - The internet connection is excellent; it likely maxes out your laptops' wi-fi, both downloading and uploading. The bad: - Meeting rooms are quite tight and poorly ventilated, there are two rooms in the basement that despite looking great on pictures, are not for the claustrophobic. One of the meeting rooms is next to the building's IT racks, the noise is not as bad as the heat. - The place is understaffed; most of the time one person in the reception has to take care of other things so if you invite clients in, be sure to be yourself at the door or they will most likely find an empty desk. - The decor of the whole place is outlandish, kitsch. - It could take a week for a light bulb to be replaced. The ugly: - Toilets are small, poorly ventilated, and despite being cleaned twice a day, there are just a few toilets so they are constantly in use and you will likely find them dirty. The ones in the basement are clogged constantly, an old fashioned rubber plunger reminds you that as it welcomes you in. - The same goes for the kitchen sinks: Giant signs make you feel bad about leaving mugs in the sink, but the only working dishwasher is running or nobody takes the clean stuff out. The cleaning personnel works really hard, but everything else is set in such a way that it is not effective. - There is absolutely no policing about anything; The noise levels in most areas will make you wish you stayed at that Starbucks. Don't park your bike at the door, parking is free for less than 24hs at the municipal parking lot around the corner, on Vijzelstraat. Merkspace Herengracht will be in touch with you soon to confirm. Merkspace Herengracht has received your membership enquiry and will be in touch with you soon.